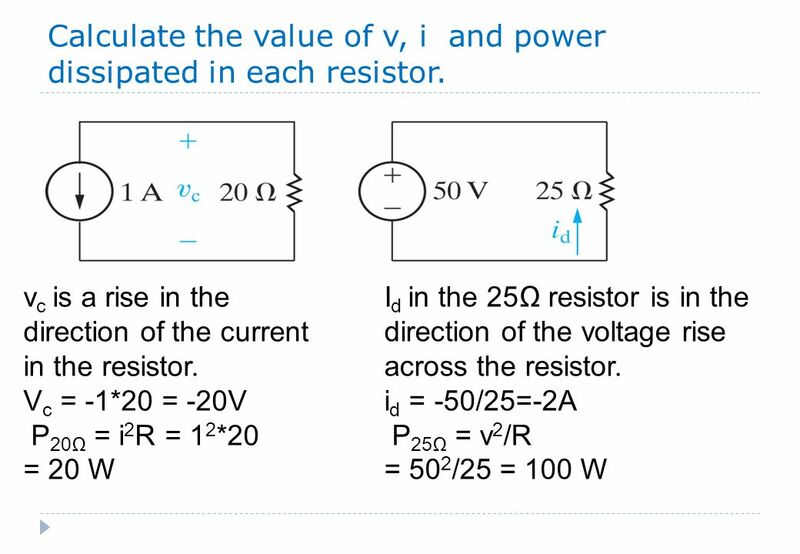 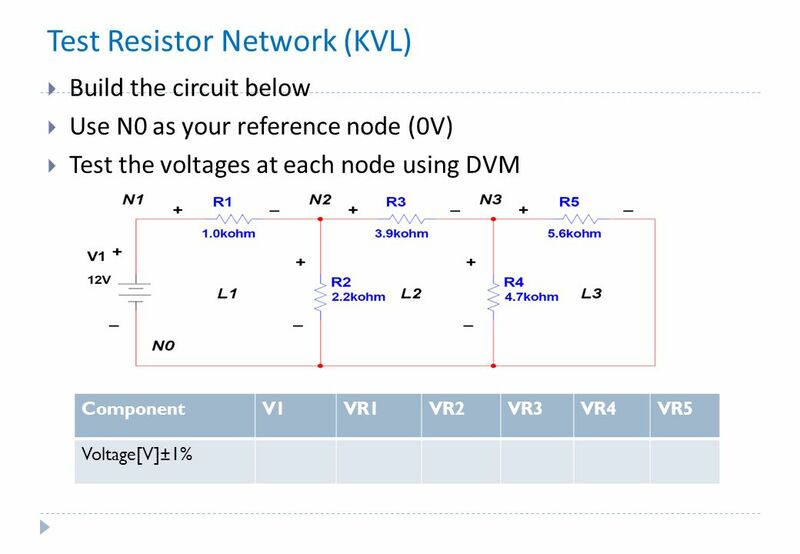 4 Calculate the value of v, i and power dissipated in each resistor. 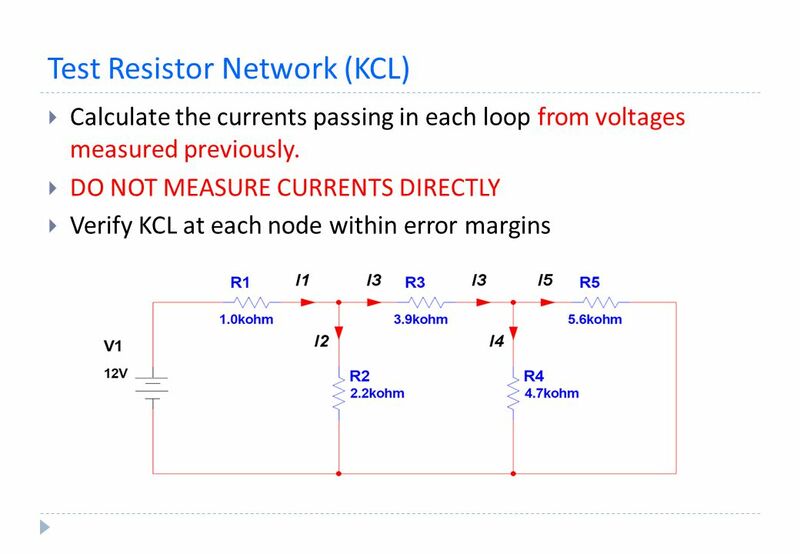 7 Resistors Components which resist or reduce the flow of current in a circuit are called resistances, the unit of resistance is the ohm (Ω). 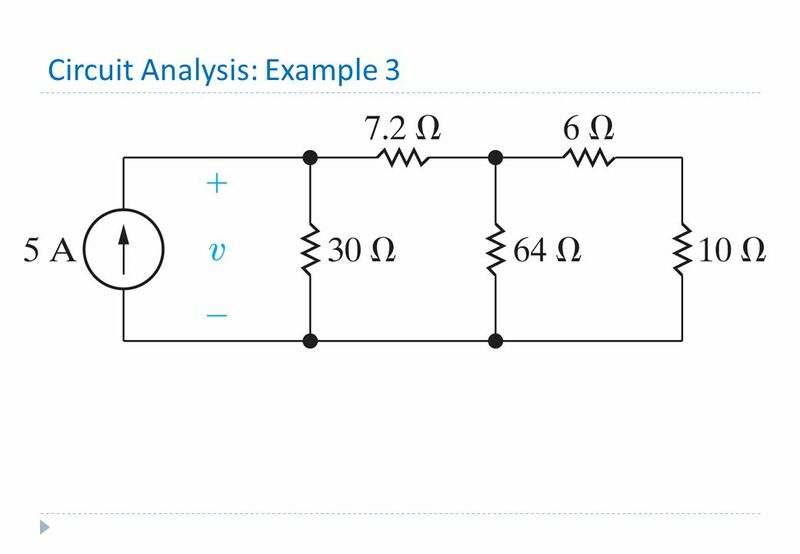 They are used in circuits to control or limit the amount of current flow in a wire ,and to be a current-to voltage convertor. 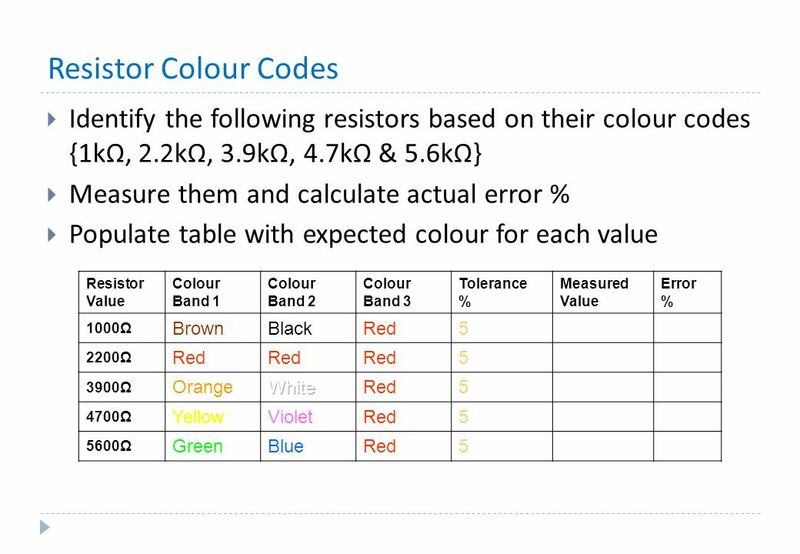 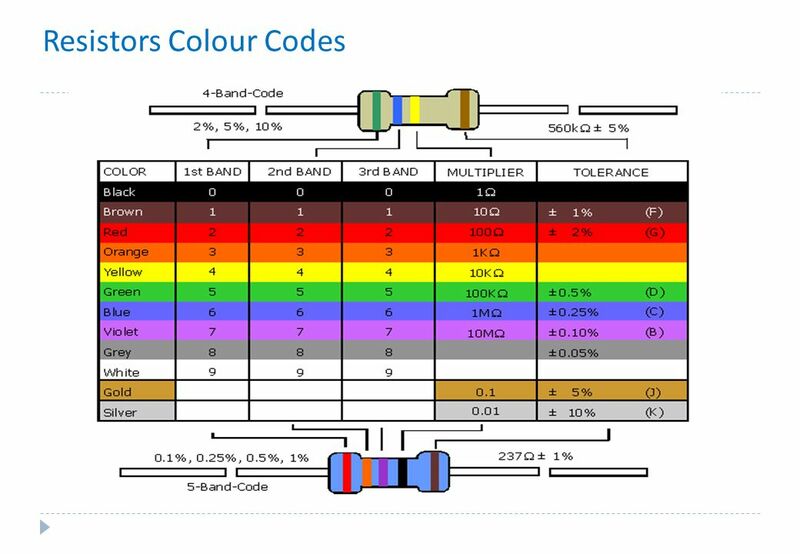 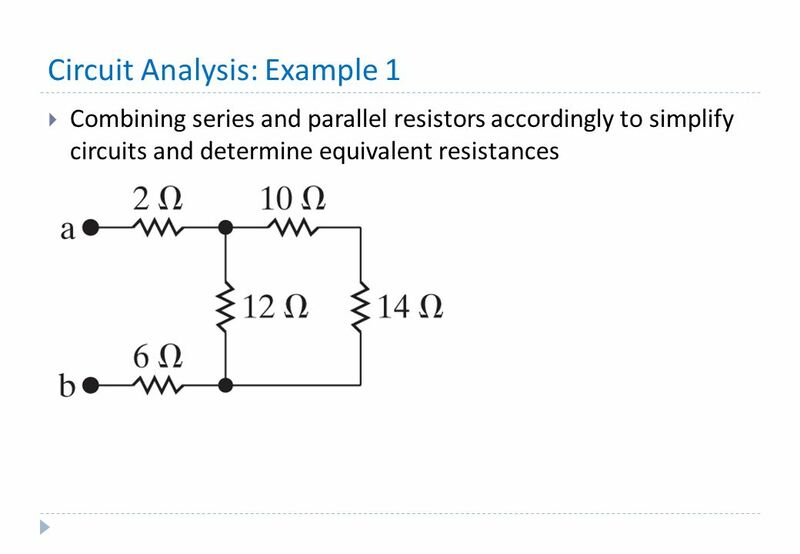 Resistors in series: R total =R1+R2+R3+R4 Resistors in parallel: 1/Rtotal = 1/R1 +1/R2 +1/R3 +1/R4 The total resistor of a parallel resistor network is always dominated by, and is less than, the smallest resistor. 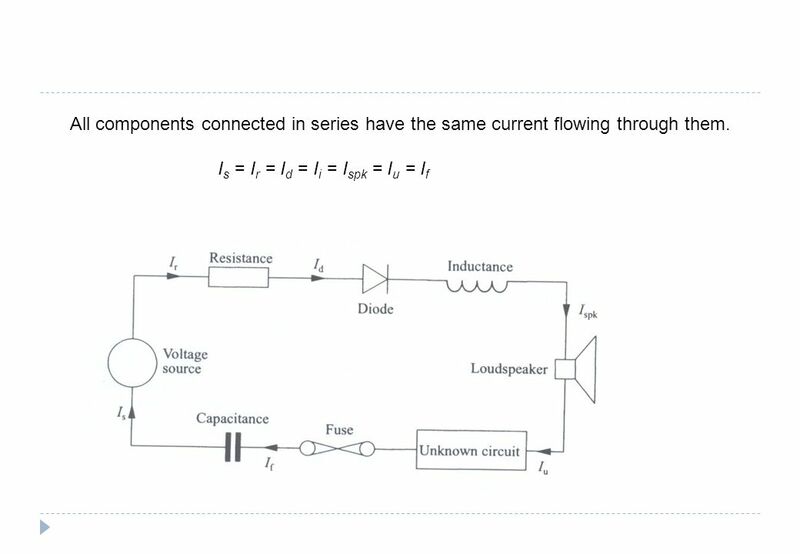 8 All components connected in series have the same current flowing through them. 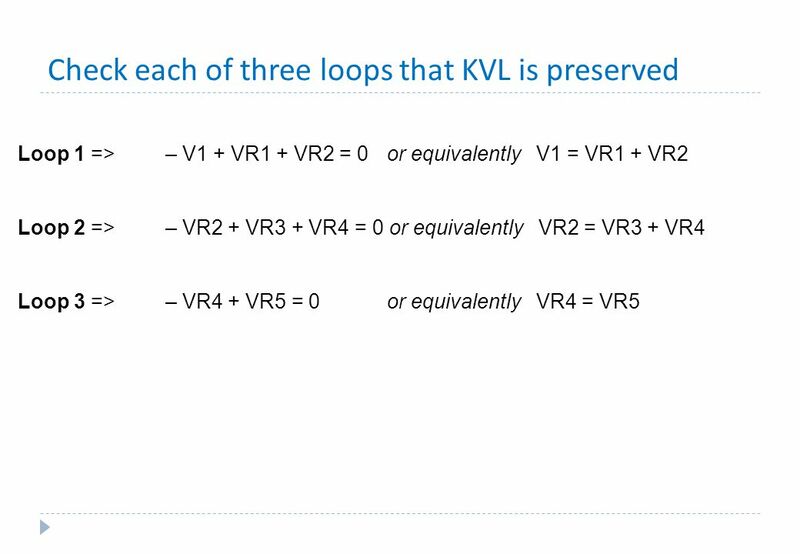 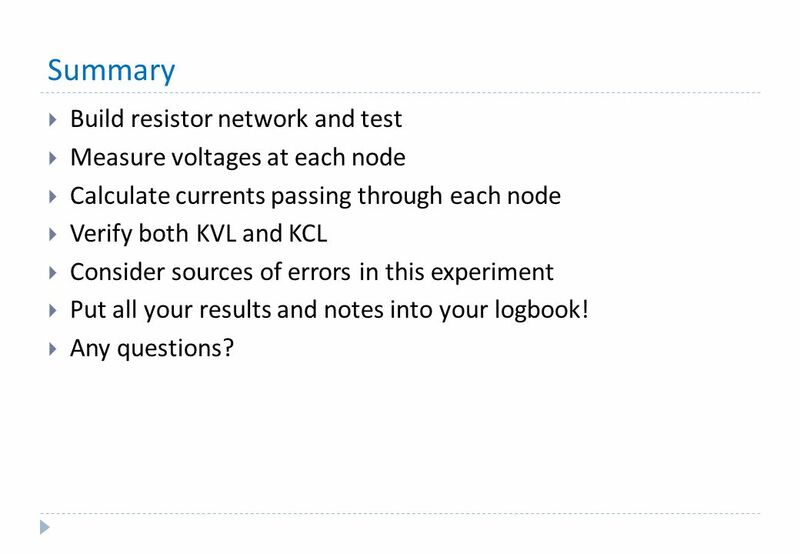 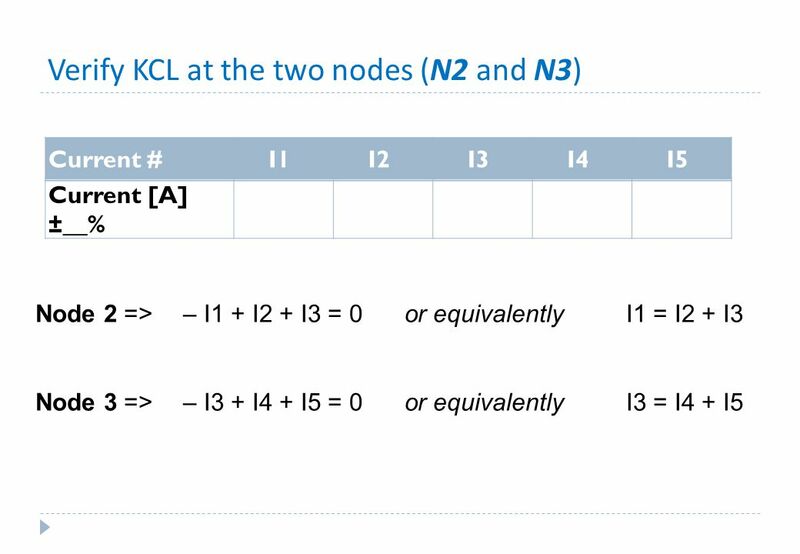 Calculate currents passing through each node Verify both KVL and KCL Consider sources of errors in this experiment Put all your results and notes into your logbook! 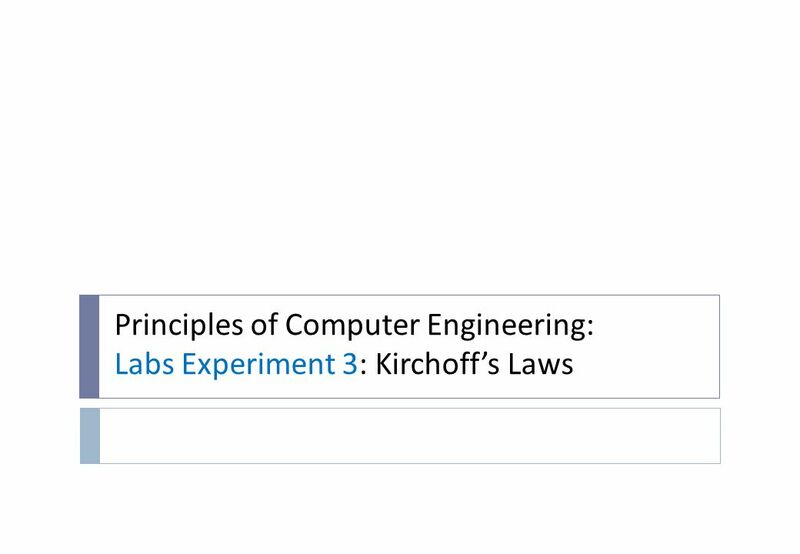 Any questions? 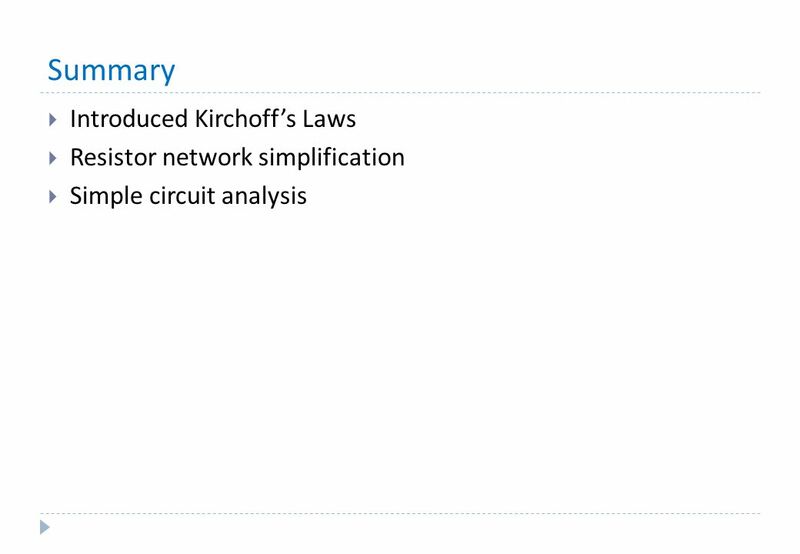 Download ppt "Principles of Computer Engineering: Lecture 3: Kirchhoff’s Laws"
Series and Parallel Circuits Kirchoff’s Voltage and Current Laws Circuits 1 Fall 2005 Harding University Jonathan White. 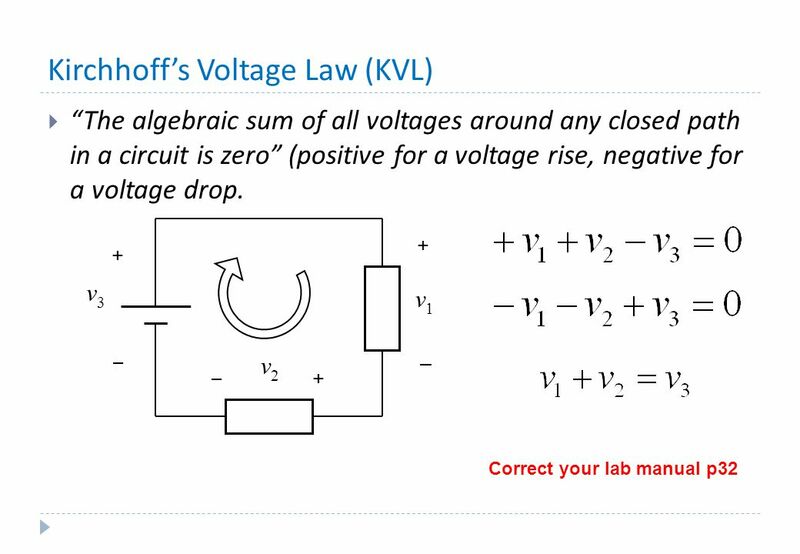 Analog Circuits Seth Price Department of Chemical Engineering New Mexico Tech Rev. 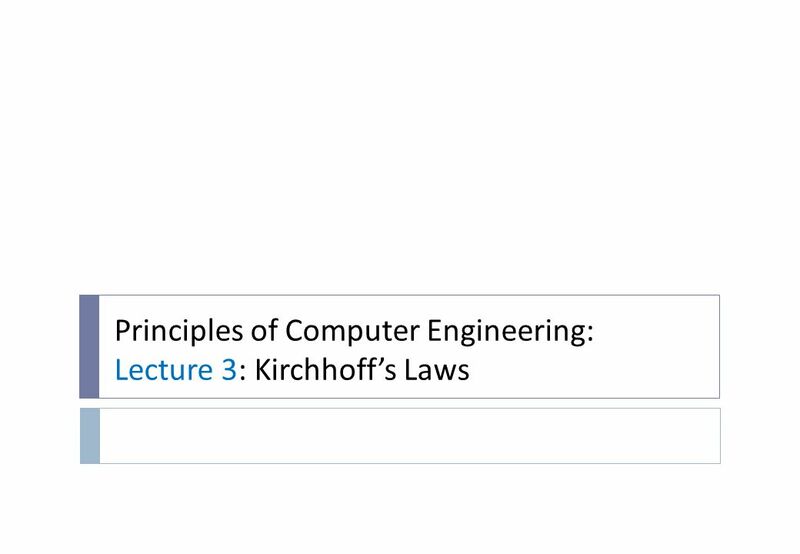 8/31/14. 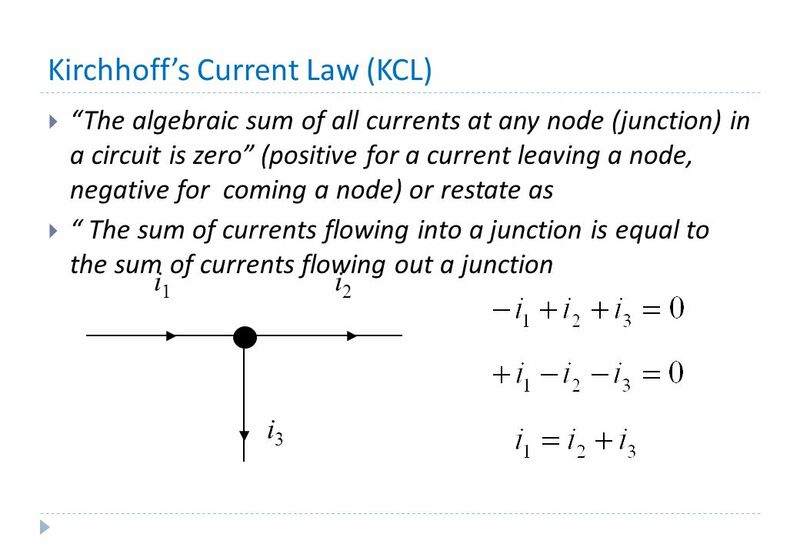 Series Circuits ENTC 210: Circuit Analysis I Rohit Singhal Lecturer Texas A&M University. 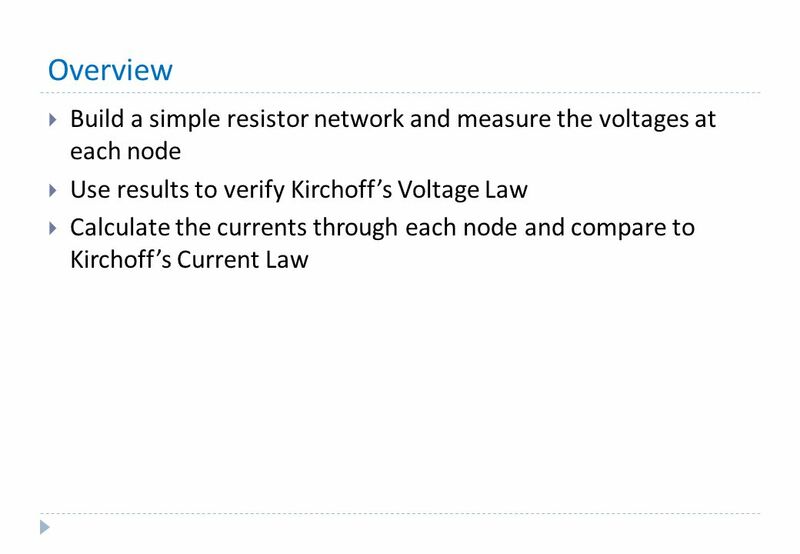 BASIC LAWS Ohm’s Law Kirchhoff’s Law Series resistors & voltage division Parallel resistors & current division Y -  transformation. 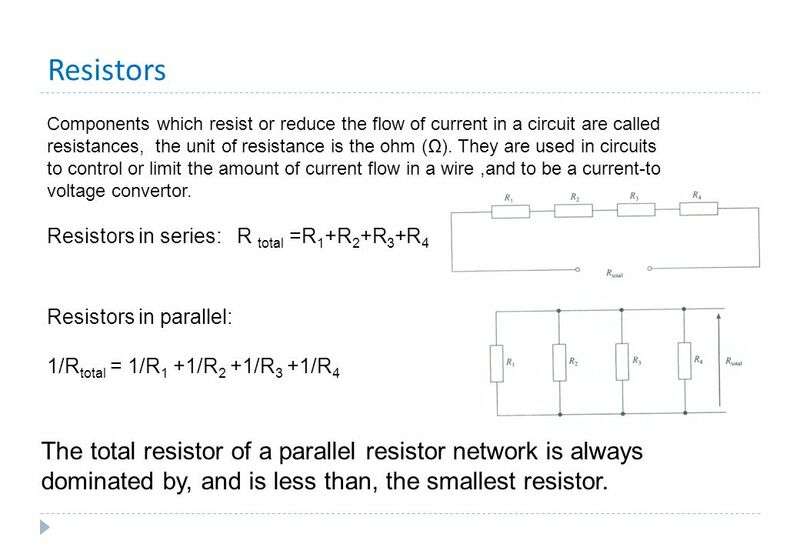 Parallel Circuits ENTC 210: Circuit Analysis I Rohit Singhal Lecturer Texas A&M University. 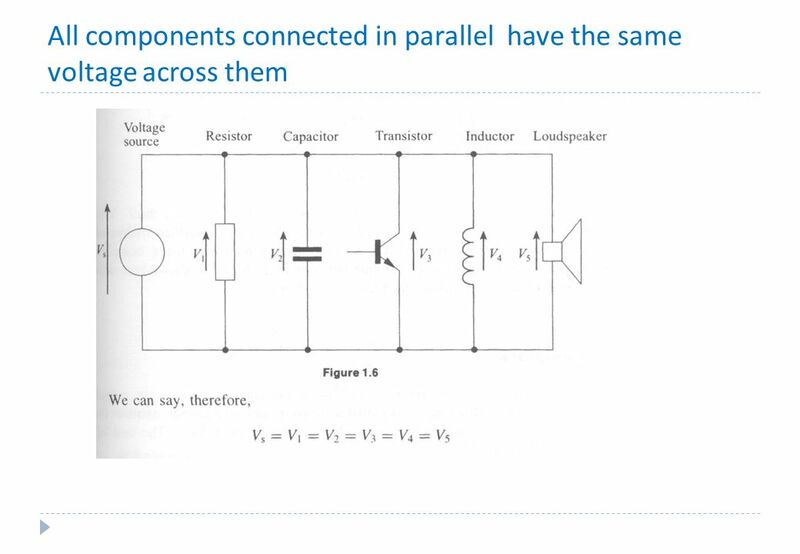 Chapter 5 & 6 Dr. Farid Farahmand CET 236. 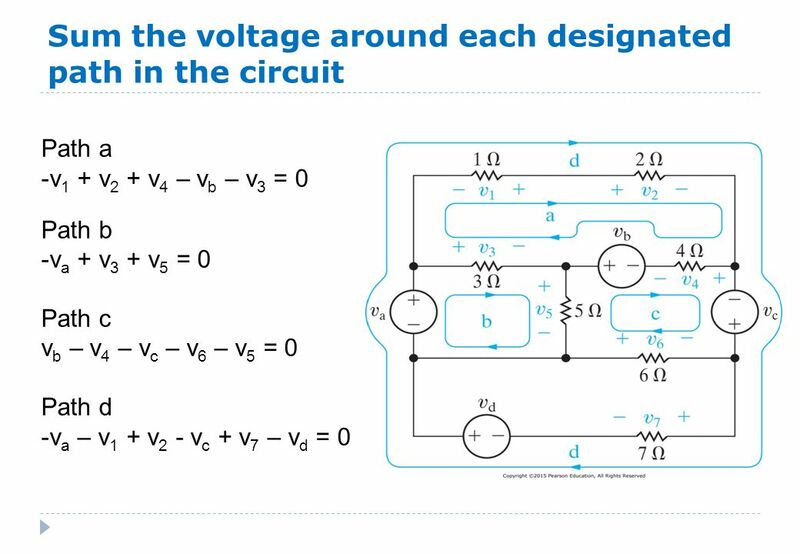 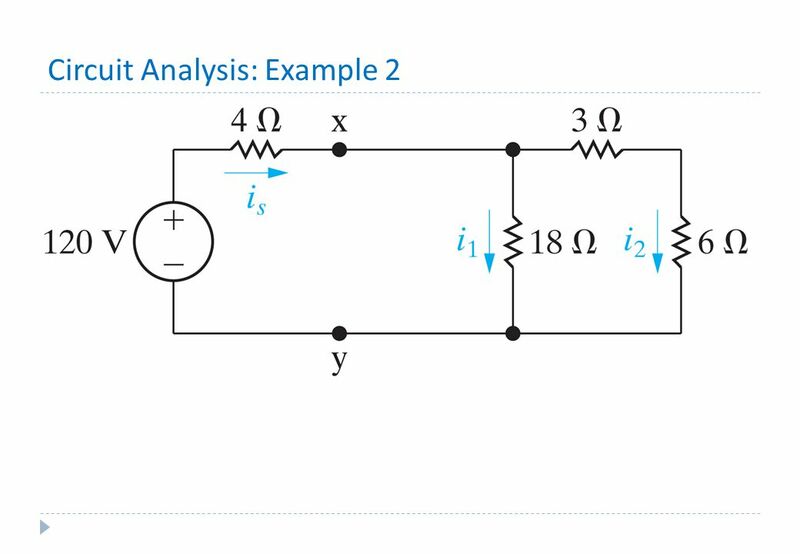 Outline Identify a series/parallel circuit Determine the current and voltage in a circuit Determine total resistance. 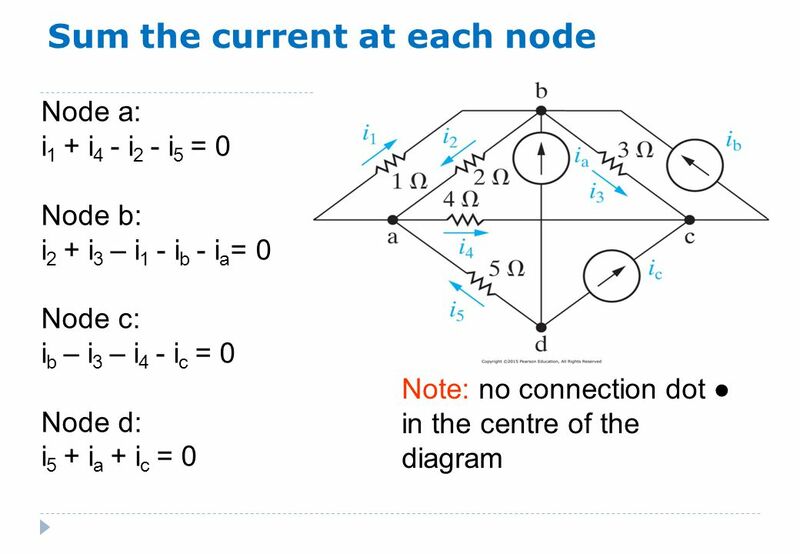 Electric current and direct-current circuits A flow of electric charge is called an electric current.